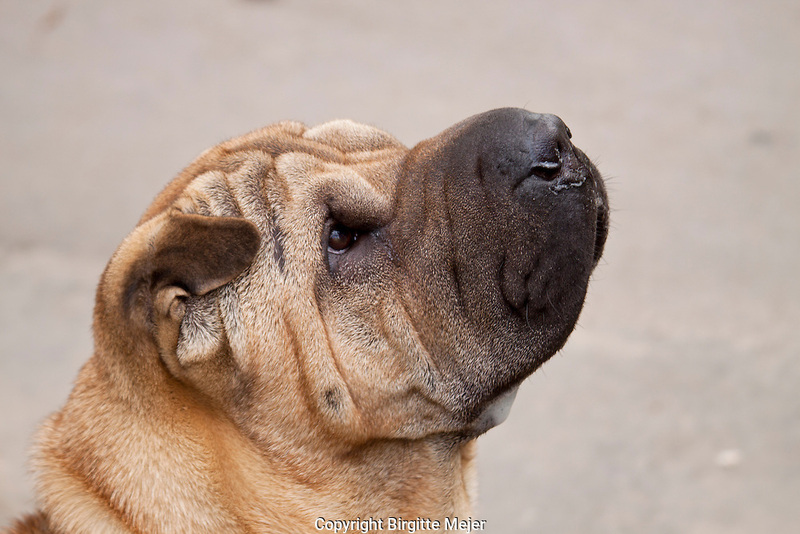 Head shot in profile of a shar pei on plain backdrop. Outdoor photography. The Shar Pei, or Chinese Shar-Pei, is a breed of dog known for its distinctive features of deep wrinkles and a blue-black tongue. The breed comes from China. The name translates to "sand skin" and refers to the texture of its short, rough coat.